The Oldies Do It Again! 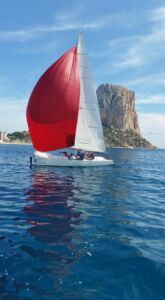 On Thursday, September 28, the annual CBYA Veteran’s TOMS Regatta took place in Calpe. 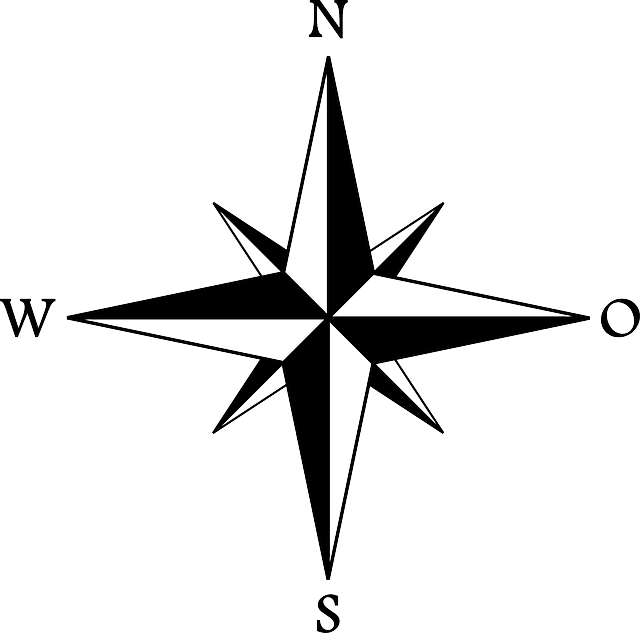 Five veteran teams competed against each other, with five crew members on each of the RCNC-owned TOM racing yachts. The average age for each team entered in the Veteran’s regatta had to be minimum average of 65 years of age. 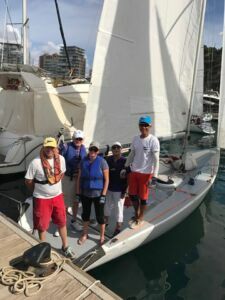 Wind conditions were light, but favourable, for the CBYA sailors, and three races were run over a short, twice round, windward-leeward course. 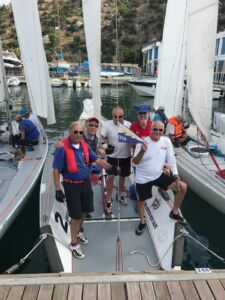 The first of the three races began with a clean start by all teams and Edo Volker’s team, with an average age of 65.6 years, on yacht #2 held the first place finish. 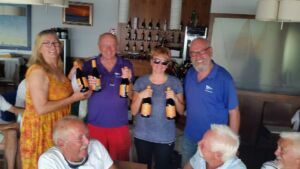 Despite having a few technical issues with their sailing yacht, Skipper John Allison’s team on yacht #1, with an average age of 66.6 years, managed to conquer these challenges that they faced and sailed over the finish line in first place during the second race. It was truly exhilarating watching this team dash over the finish line, knowing the struggles that they were dealing with. Team spirit was alive and well on John Allison’s yacht! 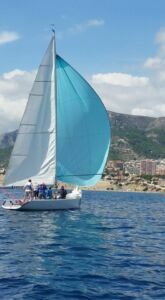 The last of the three races was extremely intense, as sailing yachts were neck and neck, stealing each other’s wind and strategizing repeatedly to take the winning place over the finish line. 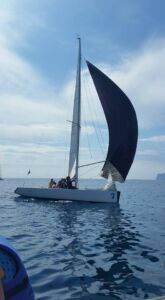 Once again, Edo Volker’s team on yacht #2 took the winning place. Winning team with an average age of 65.6 : Edo Voker(skipper), Richard Evett, Garry Mudge, Bob Gordon and Ken Horne. 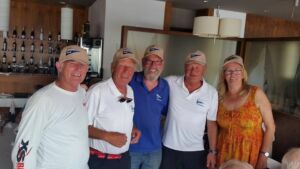 After the race, team members enjoyed a tasty tapas meal at Real Club Nautico de Calpe restaurant with plenty to eat and drink.